It’s that time of the year when almost everyone around you is coming up with ways of making the incoming year more productive. 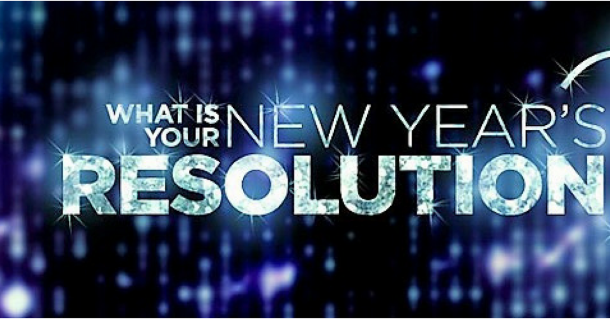 Some people have been planning their new year resolutions since the latter half of the year. Piling on one promise after another with a failed attempt at each is not the way to go, is it? Well, ApnaComplex is happy to lend a helping hand. Here are 5 easy new year resolutions in case you haven’t got on to the ‘change is good’ wagon yet. Trust us, these are more helpful than you’d know. With all the global warming signs getting bigger and bigger, doing your bit for the planet will only make you feel good about the next year. Tracking water usage levels and avoiding water wastage is one option. ApnaComplex provides you with Water Monitor, a water tracking app that allows you to track the volume of water being used by your society. A plus point is that it tracks the billing as per water usage too. Find out more about Water Monitor here. This one leans towards those who have faced theft issues in the past. Why offer a chance when there doesn’t have to be one? One aspect of this problem is vehicle theft. ApnaComplex’s solution to that is Vehicle Sentry, a vehicle tracking system that lets you stay aware of your vehicle’s whereabouts. Know more about Vehicle Sentry here. For all those who believe that safety in any form can never be enough, ApnaComplex has Gatekeeper, a visitor tracking app. Gatekeeper lets you know about your visitor beforehand and lets you verify their entry. Be aware of who knocks on your door. Stay alert with Gatekeeper here. Everyone can cash in on this new year resolution. Spending less is never an idea that is unwelcome. One way of going about with this is by holding less change in your pockets and using cashless services. Collection Gateway by ApnaComplex is another such service that lets you pay maintenance dues via NEFT or RTGS. Here’s why Collection Gateway should be your new year resolution this year. Why not have an easy management system in place for those who work hard at settling the books in your society? Get some good karma under your belt by getting ApnaComplex for your society. Keep track of reminders, bill and maintenance payments and vendors of your society in a more automated manner. This is one of the most easiest ways of fulfilling a new year resolution, don’t you think? So, this time, let’s all make a promise to ourselves to move forward with the new year resolutions we choose. Good luck chasing the new life! We are proud to announce the launch of “Water Monitor” – an Android App to easily keep track of the Water delivered by Tankers to your society. Getting Water Supply from private tankers in an inconvenient truth in most housing societies in urban areas. Keeping track of the trips made by tankers is always a tedious and susceptible to manipulation. In addition, at the time of payments to vendors, calculations need to be done manually on the payment to be released. Care needs to be taken to avoid double payments for the same trips. There is no easy way to understand the consumption trends as well. Water Monitor solves all these and does more. 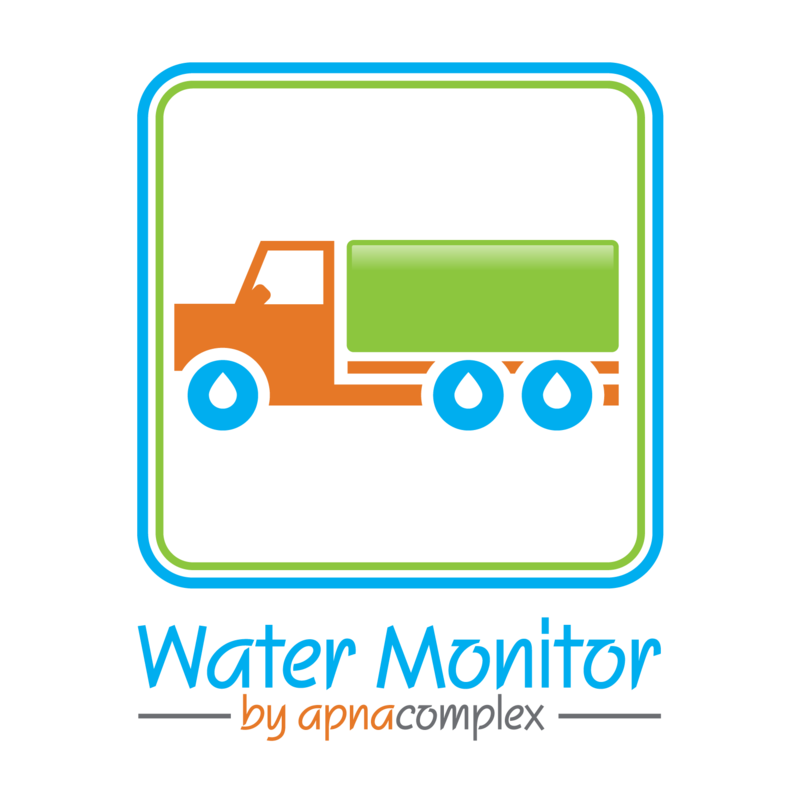 Water Monitor is a new-age android app offered by ApnaComplex which is used by the security staff at the entrance gate of large apartment complexes and allows them to record water tankers coming in and the volume of water being supplied with pictures. Committee members can monitor and analyse the number of water tankers coming in and the volume of water being supplied from the ApnaComplex portal directly. The application can be installed on any Android smartphone or a tablet. Just click a photo of the water tanker coming-in, enter details and upload all the details on your complex portal in less than 15 seconds. Who Needs the Water Monitor App and Why? Any large apartment complex need this app for easy monitoring of the water supplied by the water tanker agencies. Usually any large apartment complex require a minimum of 300-500 water tankers to address the water needs of the residents every month. This huge volume of water is usually supplied by multiple water supplying vendors. Since there are multiple supplier and multiple tankers coming in multiple times, keeping a track of the water tankers and the volume of water supplied becomes a tedious job. Too many entries and log books leads to confusion, in many cases treasurer ends up paying more money to the vendors. How does the Water Monitor App Work? As soon as a water tanker approaches the apartment complex gate. The security guard will open the ‘Water Monitor’ application and enter the 4 digit password to login. The security guard will select details like vendor name, volume of water being supplied – in case of shortage security can update the actual volume, click and upload photos of the water tanker as a proof. The most important aspect of Water Monitor is its ability to run stand alone without internet connection and sync up with master database of ApnaComplex portal as and when internet connection is made available. Once the details are uploaded, an SMS with all the details are automatically sent to the committee member or manager who is responsible for monitoring water supply in the society. How to View Details and Analyse Data? •	Select the period and view the total amount of money spent on water with specific/all vendors etc. The above details can be viewed for different interval period by providing the dates for analysis. Water Monitor will certainly make a big difference in the way your Society is monitoring the delivery by tankers and the subsequent billing associated with this. Water Monitor is exciting. How do I get one for my society? All our Accounting Edition and Ultimate Edition customers can see a new menu item for Water Monitor under “Expenditure” to do the configuration of Water Tanker Vendors and Water Tanker Trips. Next, download and install Water Monitor App and you are ready to roll! Yet another instance of true innovation from ApnaComplex.com – be it Gatekeeper App for visitor tracking, or bringing real-time balance sheet, or having bio-metric devices for staff attendance, or making society software accessible on mobile phones – we continue to raise the bar higher and higher in Apartment Management space!